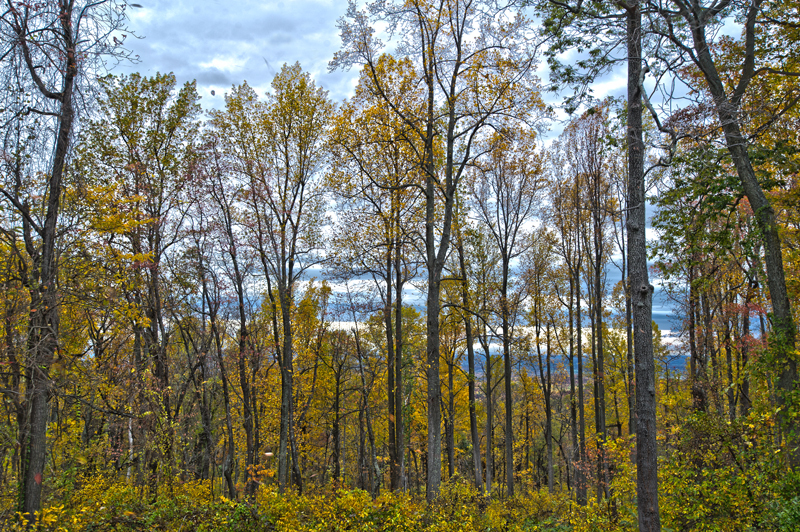 A cold front blew through late this afternoon, turning the skies dark and blowing leaves off of the golden trees. The weather forecasters are hinting at a winter storm this weekend, which I’m now beginning to think could be possible. A friend of mine who follows the weather religiously, told me today that the meteorologists on the Weather Channel on the local TV stations are waffling in their predictions. That’s never a good sign. Well, whatever happens I hope that there are some leaves left on the trees as I would like to take another trip to the arboretum next week. I think it could be peak color there, and now that I had a glimpse of what’s to come, I don’t want to miss it. Until then, I’ll admire the view in my own backyard.